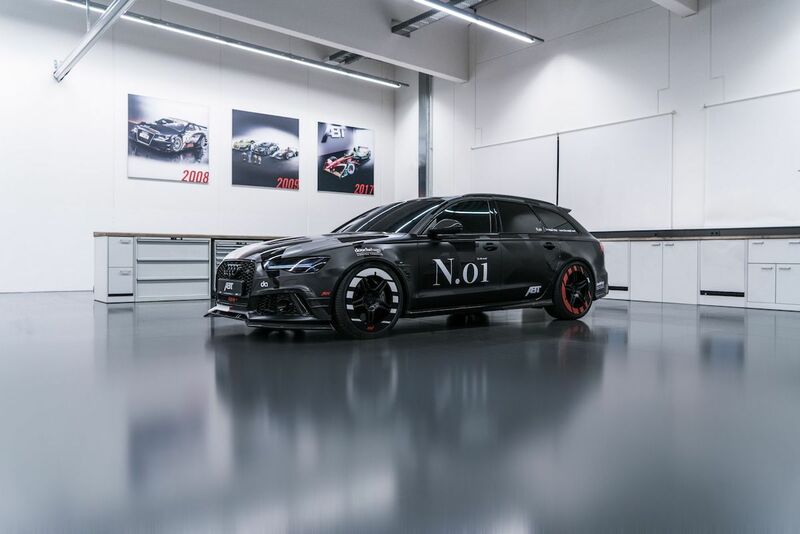 Almost three years ago, Swedish skier and car nut Jon Olsson's 1,000-horsepower Audi RS6 Avant was stolen and then accidentally set on fire during a film shoot. Thankfully he had sold the car before the incident happened, but Olsson clearly missed his steroids-fueled station wagon, so German tuning company ABT has built him another one. 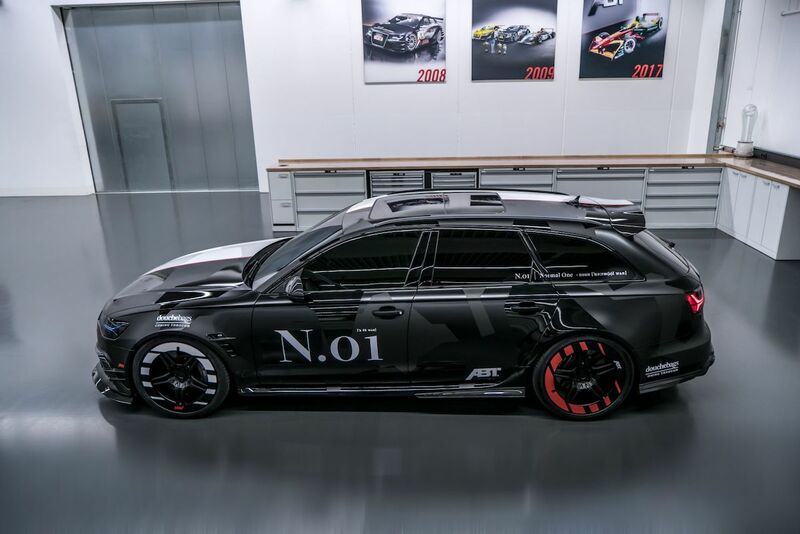 The ABT RS6+ "Phoenix" is a one-off car built specifically for the professional skier, sporting one of Olsson's signature camouflage wraps that all of his custom vehicles feature. The pattern, called "split camo," features a black driver's side and white passenger's side. Aesthetic modifications include ABT's carbon fiber front lip, front skirt, rear spoiler, rear skirts, side skirts, wheel arches, and mirror covers, plus tinted windows and prototype wheels designed specifically for Olsson's car. Project Phoenix has been tuned to make 735-hp and 679 pound-feet of torque, more than a 100-horse jump up from the standard RS6 Avant. A custom sports exhaust system really brings out the growl from this car's monstrous twin-turbocharged V-8, which you can hear for yourself in Olsson's latest VLOG. The car is a variant of the RS6+, a run of 50 modified RS6 Avant Performances ABT tuned to 705-hp. This example though is one of a kind and one that Olsson helped design and build himself. 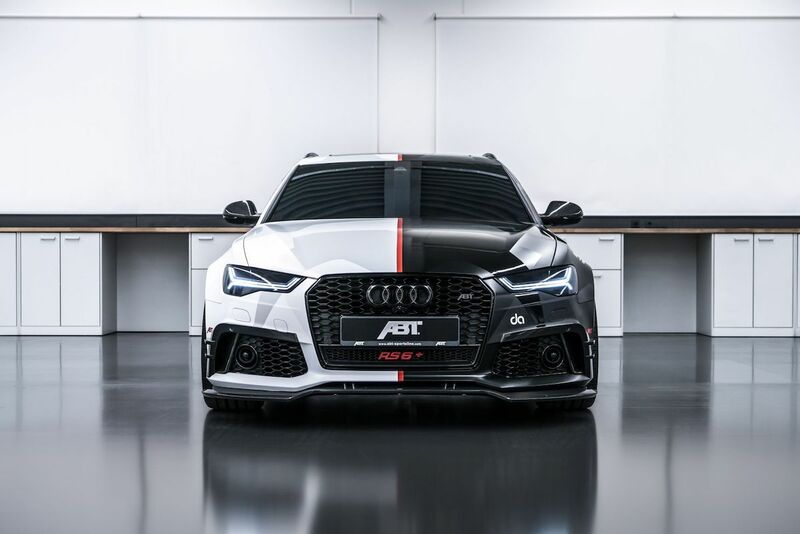 "The project with Jon Olsson was a great challenge for our ABT Individual team," said Hans-Jürgen Abt, CEO of ABT Sportsline. "It once again proved that we can satisfy even the most discerning customer requirements. We can't wait to see the Alpine skier have some fun with his new two-tone super wagon, but knowing Olsson, he'll soon come up with a car even more ridiculous.